TruTac recently welcomed a cross section of operators to their PSV Focus Event held at the Forest of Arden Hotel in Meriden. Opening the day, Commercial Director, Jemma James explained the objective was to encourage discussion, debate and engagement. Gaining feedback on operators’ requirements would help the further development of systems supporting the management of compliance. There was no right or wrong answer but there was a concern that data volumes could get overbearing. The programme included a mix of presentations looking at how compliance requirements were evolving through the use of data to the potential for fully integrated systems. Tachograph analysis specialists TruTac’s first PSV Focus Event looks to the future of compliance technology for buses and coaches. The event was supported by CPT whose Deputy Chief Executive, Peter Gomersall, emphasised the organisation’s fundamental support for compliance across the industry. Using external analogies, he illustrated the need for risk management and having contingency plans for when technology fails to deliver. 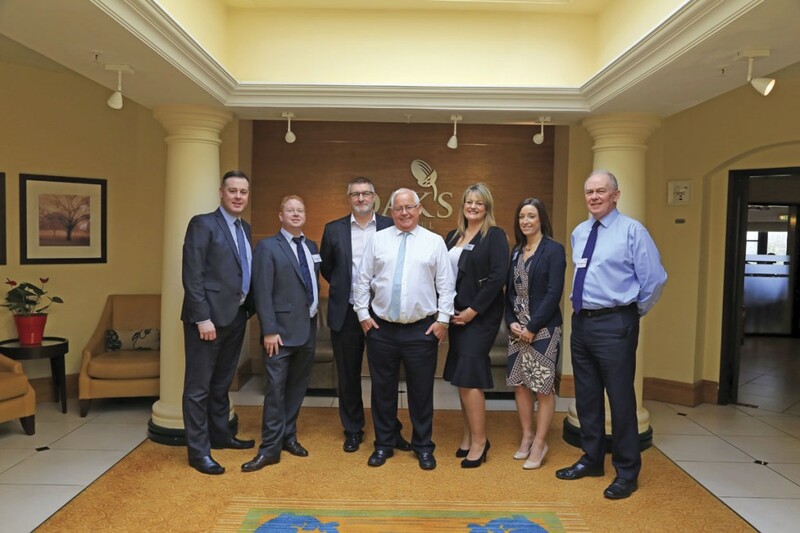 In a wide ranging presentation, Laura Hadzik, a solicitor at Backhouse Jones Solicitors, shared some recent experiences with the Traffic Commissioners (TCs) and looked ahead to future compliance challenges. Focusing on the latest annual report from the TCs, she noted their objective to ‘remove those operators who are serially and seriously non compliant.’ The report refers to the 252 Public Inquiries (PI) that took place in 2014-15 where over 60% led to some action being taken against the operators licence including, in 97 cases, the licence being revoked. New for 2016 were revised and generally slightly lower funding levels necessary to demonstrate financial standing; OLCS, the online Operator Licence Compliance System which is currently being trialled with an estimated go live date at the end of May; and a new approach to enforcement which enables compliant operators to gain earned recognition. Maintenance continues to be a major cause of being called before a TC and one of their current comparators is first time MOT pass rate. The implication is that a lower than average first time pass rate means that defect reporting systems are not working or regular maintenance is not being completed to the required standard. In support of safe operation, the TCs ‘Guide to maintaining roadworthiness’ published in 2014 provides wide ranging guidance. Laura highlighted the need for safety inspection intervals to be adhered to as only a few stretched intervals could lead to a PI. Maintenance not only has to be done correctly, it has to be recorded correctly on current paperwork and signed off as correctly completed by the operator including the date of next inspection. An audit trail needs to be maintained of all activities including such matters as calibration records for equipment such as brake testers and torque wrenches. A new headlamp aim test has also been introduced. TCs now recommend quarterly checks of drivers’ licences whilst Laura advised that Backhouse Jones have developed a six point plan for maintaining tachographs in the absence of formal guidance. The final focus of Laura’s presentation was an overview of the Senior Traffic Commissioner’s Statutory Guidance and Directions document dated 1 January 2016. This wide ranging document is available online and explains the TCs approach to all aspects of operating PCVs. Highlighted as of particular importance are section 3 referring to the Transport Manager (TM) which includes a role description and guidance on the hours commitment expected, and section 6 relating to driver conduct which gives TCs rights to suspend vocational licences outside of a conviction. The TCs are now developing best practice to ensure that operators know when a vocational licence has been suspended. The document also introduces the concept of a lead TC where operators have multiple licences in different areas and the ability to introduce an alternative to the PI for less serious cases, for example a preliminary hearing with a senior member of the TC’s team. TruTac’s core business is tachograph analysis with their dedicated systems and skills for PSVs, a service also offered through CPT as CPT Tacho Analysis. In addition to TruControlPSV with its associated TruView and TruDriver dashboards, the company provides a range of complimentary systems and these were introduced by Head of Sales, Lee Oliver. TruTime is designed to record time and attendance digitally using the Digipostpro driver card readers linked by Wi-Fi or SIM card to the operator’s system. This provides the opportunity to compare clock time versus tachograph time and identify issues that cause drivers to arrive at the depot for their duty early or remain on site after completion. Benefits of the system include better control of agency drivers and identifying of issues causing in-depot delays. For the future, TruTime will be developed to deliver the reporting required to manage Working Time Directive (WTD) obligations with drivers able to view their hours online. Other staff will also be able to use the system for WTD reporting with the issue of a smart card to those without driver cards. TruCheck is a vehicle daily walk around check recording system presented on-line on drivers’ mobile phones. Any entry made by a driver that is red (fail) or amber (warning) is immediately emailed to the company management. The data recorded is date stamped on entry and can be updated should an issue arise during the day, photographs can also be added. The system is flexible with the opportunity to work with a number of templates that can be expanded beyond the mandatory safety walk around checks e.g. to ensure there is sufficient stock of on board consumables. Inclusion of Geo-stamping as well as time stamping was suggested as a future development. TruLicence enables operators to set up a routine checking system with DVSA to check driving licence validity following completion of a mandate by the driver. Management can set the timescales for recheck and reporting is provided by exception. TruTac MD, Terry Ramsey, outlined some ideas for further development focusing on how companies communicate with drivers in a number of areas including availablility, debriefing on tachograph records and interfacing with other systems such as booking and scheduling. Whilst there appeared general support for providing more communication so that the traffic office only needed to deal with exceptions, there was a need to ensure that these systems had appropriate TM interfaces, e.g. for sickness reporting, return to work interviews and infringement debriefing. The usage protocol of such systems will also need to respect drivers’ rest periods. He presented some aspects of the work that he had been carrying out with a leading operator to help them make smarter business decisions using data collected over a period from a variety of sources. Areas of investigation had included how can the best use be made of available drivers’ hours and when is the best time to instigate discounting to maximise seat sales on tours and excursions? Rowland made the point that technology itself does not provide the answer, there needs to be a plan for how the data that technology collects is used before the decision is made to purchase it. Traffilog is an Israeli company providing driver and vehicle monitoring systems for 250,000 vehicles across 28 countries. It has recently been contracted by the Israeli government to provide fully integrated on board technology for all buses in the country over the next four years. 400 vehicles will be delivered with the systems in 2016, the first due to enter service in April. In the ‘bumper to bumper’ single connected system, not all systems will be from the same provider but all will be able to talk to each other. Some of the benefits Ben identified were: removal of multiple SIM cards and data feeds from the vehicle, reducing cost and complexity; opportunities to upskill drivers by using a training mode when running empty; passenger announcements made remotely thus taking pressure off drivers; passenger counting, linking the best device on the market that differentiates adults, children and disabled enabling better back office reconciliation of takings; linking CCTV event recording and digital tachographs with a TruTac back up unit directly to the depot; fuel management and remote diagnostics. On board Wi-Fi could be integrated although there was a view expressed from some operators that customers 4G enabled devices were making it redundant. From Traffilog’s current experience in the UK, there were significant savings that operators could make from deploying just parts of this system. Driver monitoring systems typically looked at speeds, braking and idling where much effort had been put to deliver improvements. Ben suggested that operators could take things to the next level by looking at acceleration events and particularly how far the accelerator was depressed, citing that maximum torque will have been reached at 60% depression and further depression simply used more fuel without delivering further benefit. Remote diagnostics which would identify the point where a component is about to fail could also yield significant savings, for example trending the temperature of a vehicles gearbox oil over a long period could give a three day warning of when it was likely to need replacement or managing battery voltages to determine degredation which would allow early remedial action and could effectively double the battery’s life. Discussion sessions during the event gave an interesting insight into the challenges operators face in maintaining compliance. Being able to access the right data at the right time was a key factor and Terry Ramsey in his summing up was keen to ensure his company understood how they could better give data to operators and train them in its use. The company was always interested in listening to ideas on additional services it could offer. For further details on TruTac products, visit www.trutac.co.uk or call 02476 690000.